•	Copyright which protects material only when it is written down or recorded. The objective of IP law is to grant the creator of a work certain controls over the exploitation of that work, as the ability of others to copy the work or invention may deprive the creator of reward and incentive. Some IP rights require registration such as the patent right while others such as copyright accrue automatically upon the work’s creation. A patent is granted to an inventor by a country’s government as a territorial right. To gain a patent in the UK an application must be made to the Intellectual Property Office (IPO). The invention must have been kept secret otherwise the patent may not be granted. Patents protect the features, and processes that make an invention work including how things work, what they do, how they do it, what they are made of and how they are made. Inventions need to be capable of industrial application. The granted patent becomes property which means it is illegal for anyone except the owner or someone who has the owner’s permission, to make, use, import or sell the invention in the country in which the patent has been granted. Permission to use the invention can be given by granting a licence or by selling the patent. If an invention is used without permission, the patent has been infringed and the owner can take legal action and claim damages. It can take 3 – 4 years from filing to the patent being granted. 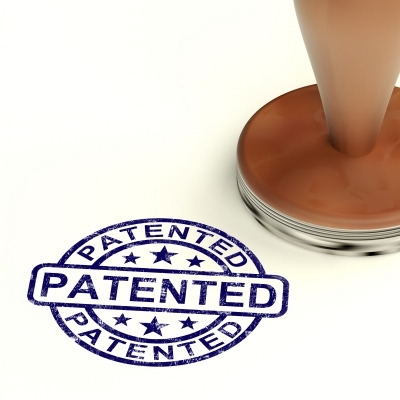 Patents can be renewed for a maximum of 20 years. Renewal fees are payable each year. If you wish to protect your invention beyond the UK, an international application must be filed within 12 months after filing the UK application. You may file in each country where protection is required. You can also file a single European patent application (EP) to gain protection in a number of countries in Europe. In addition an application can be made under the Patent Cooperation Treaty (PCT) which provides protection in a number of countries throughout the world. 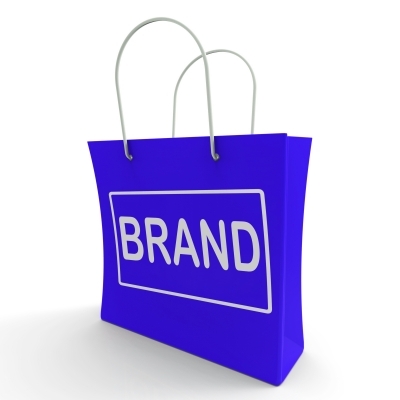 Trade marks can be signs which differentiate your goods and services from someone else’s. They may be words, logos, pictures or a combination of these. The trade mark can be used as a marketing tool so that customers can recognise your product or services. A brand is a ‘promise of an experience’ and gives the consumer an assurance about the nature of the product or service and helps develop customer loyalty. Trade marks protect against the use of your trade mark by others without your permission. To register a trade mark an application must be made to the IPO. The trade mark must be distinctive for your goods and services. Certain marks will not be accepted including those that describe your goods or services, those that are not distinctive, those that are offensive, against the law or that contain specially protected emblems. An application may be objected to by the owner of an earlier mark on the register if it is considered to be confusingly similar to your trade mark. Trade marks can be renewed every 10 years to keep them in force for which there is a fee. An unregistered trade mark will have the protection of certain rights under common law and it is legal to use the TM symbol on an unregistered trade mark. However it is easier to protect your mark if it is registered. •	rest of the World – either apply to the World Intellectual Property Organisation (WIPO) or for countries not covered by the WIPO, apply separately to the national patent office in each country where protection is required. •	Registered Design – a legal right which protects the overall visual appearance of a product for up to 25 years throughout the UK.. Before you register your design you should check the design register, which can be done online, to ascertain whether your design is new. 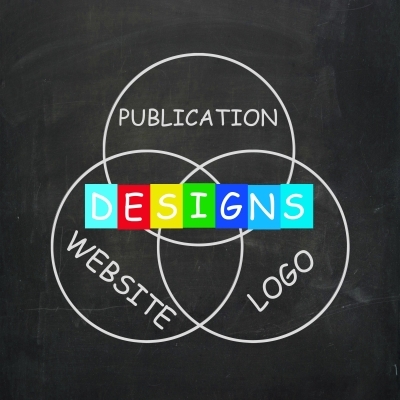 If someone already has a design registered like yours they can challenge your registration. For the purposes of registration, a design is legally defined as being ‘the appearance of the whole or part of a product resulting from the features of, in particular, the lines, contours, colours, shape, texture or materials of the product or ornamentation. The protection is given to the way the product looks. The product can be a three-dimensional such as an industrial or handicraft item or a two – dimensional ornamentation such as a pattern intended for display on a product.The product can include packaging, graphic symbols, typefaces etc. To be registered the design must be new and of individual character. An application can be made up to 12 months after the designer first discloses it. A design may not be capable of being registered if it is offensive or consists of, or includes certain flags or international emblems. If the design is solely dictated by the product’s technical function e.g. where there is only one possible way a product could look as a result of its technical function such as a key, it is not capable of being registered. Registering a design allows you to sell the design and the intellectual property rights which go with it or license the design to someone and retain the Intellectual Property rights. •	Unregistered Design Right – automatic protection given to the internal or external shape or configuration of an original design, that is its three-dimensional shape. These rights may be registered with the UK Copyright Service in order to establish proof of the date and content of the work in case of any later legal claims. These rights have been available in the UK since 1989 and throughout the European Community from 2002. In the UK protection lasts either 10 years after the first marketing of articles that use the design, or 15 years after the creation of the design, whichever is earlier. For the last 5 years of that period the design is subject to a Licence of Rights which gives anyone entitlement to a licence to make and sell a product copying the design. Automatic protection is given for original literary, artistic, and musical creations, and other types of creative activity for life plus 70 years. (Broadcast and sound recording copyright lasts for 50 years, typographical arrangement for 25 years). Copyright protection may be given to logos, labels, packaging jingles etc throughout the UK and much of the world. A work is original if it is the result of independent creative effort and not a copy. It may be original if it is similar to something that already exists but no copying has been involved, directly or indirectly. A significant amount of skill or labour must have been expended in its creation. There is much case law surrounding the question of ‘originality’. In the UK copyright material sent over the internet or stored on web servers will generally be protected in the same way as material in other media. Copyright does not protect ideas, names or titles. Where a work is made by an employee, the owner of the copyright is the employer. An employer should keep records of which person created the work they own because the period of copyright protection may be linked to the date of the death of the creator, that is the employee. If you commission another person to create a copyright piece for you, the legal owner of the copyright is the creator of the work not the commissioner. •	limited use of copyright works without the permission of the copyright owner are allowed where the use is for non-commercial research, private study, criticism, review and reporting current events, teaching in educational establishments, helping visually impaired people, time shifting. Some exceptions require sufficient acknowledgement when making use of a copyright protected work. •	where only a minor part of the work is involved. •	Although automatic copyright protection is given to help protect copyright work it is advisable to mark it with the international copyright symbol and name the copyright owner and the year in which the work was created. This will let others know when the copyright right period will end and it will indicate who to approach to gain permission to use the work. •	To provide evidence of when you came into possession of the work, a copy can be posted with a bank or solicitor. Alternatively the creator could send a copy by special delivery post to himself or herself, leaving the envelope unopened on its return. •	Unofficial registers run by private companies could be used. However it is advisable to check what you are paying for, before taking this route. 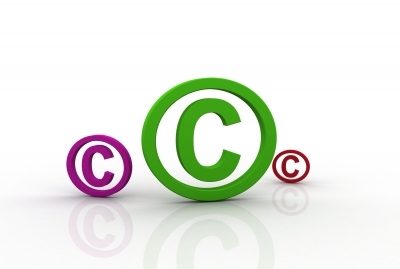 Copyright can be bought, sold, transferred, inherited etc. This is done by assignment, a written, signed contract stating a transfer has taken place. With certain copyright material even if the creator sells the copyright, they still retain moral rights. This means that the creator will still have the right to be identified as the author and to object to any derogatory treatment of the work. Moral rights cannot be transferred or assigned. However the creator can waive these rights. Domain names are licensed with accredited registry operators of which there are over 1500. One of these, Nominet, administers the .uk domain and you can use their website to help check whether a chosen domain name is available. 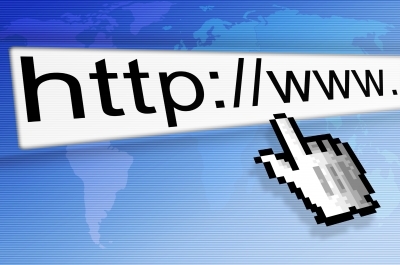 Licensed registry operators are overseen by the Internet Corporation for Assigned Names and Numbers (ICANN) which lays down policies for registering domain names and settling disputes. Registering is on a first come first serve basis. Registration fees are generally minimal. The registration is renewable every two years. It is possible to buy a domain name from someone else. However this could cost tens or even hundreds of thousands of pounds. Once a domain name has been registered, another organisation may still claim it has a better right to the name than your organisation. In the event of a successful domain name dispute the domain name can be transferred to another person. Registering a name in this way (or registering a company name at Companies House) does not mean that the IPO will automatically accept the name as a trade mark. However registering the domain name as a trade mark provides a stronger case where there is a dispute over the ownership of that name.